The application form of AP ICET will be released by Sri Venkateswara University, Tirupati in the March 2019. Candidates have to apply online for AP ICET 2019. The application fee is Rs 550 and can be paid both online and offline. 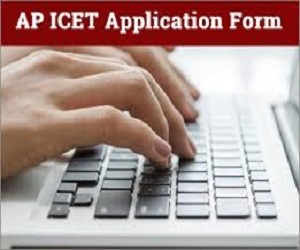 AP ICET application form 2019 can be filled in four steps – payment of the fee, knowing payment status, filling the application form and taking its print out. 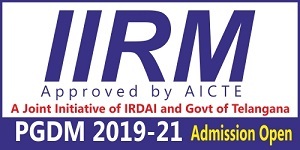 AP ICET 2019 is likely to be conducted in May. Read below for more details on AP ICET application form, steps to fill, eligibility criteria, documents required and dates. Candidates have to fill AP ICET application form online. AP ICET application form comprises four steps. Check the steps below. Candidates opting to pay their application fees online have to select ‘fee payment’ tab. Post that, a fee payment webpage will be displayed as given below. 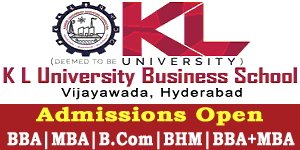 Candidates have to fill the details such as qualifying examination hall ticket number, name, date of birth, mobile number and email id. Candidate can check their status of payment made online. Click on ‘Know Your Payment Status’ tab. After clicking candidates have to furnish their admit card number as entered while filling the step 1 and click on check payment status button. After which a payment status page will be displayed on the screen as given below. Step 3: Select the ‘fill applicaton’ tab and start filling AP ICET application form. To proceed candidates have to enter the details of payment reference ID, Qualifying examination Hall ticket number, mobile number and date of birth and click on ‘Proceed to fill application’ button. In AP ICET application form the areas marked in red are mandatory to be filled. The details provided during fee payment are frozen and cannot be edited. Candidate name: Entered during fee payment will be displayed automatically and cannot be modified or edited. Father and mother’s name: Candidates’ have to enter their father and mother’s name as recorded in class 10 certificates in the required space. Date of Birth: Entered during fee payment will be displayed in this section and cannot be modified or edited. Aadhaar Card Number/Enrollment No: Enter Aadhaar Card number if not available candidates have to enter the Aadhaar Enrolment number. Ration Card number: Candidates have to enter the ration card number of their family. Caste category: Click on the relevant option as per the Caste certificate. Candidates have to enter caste certificate number issued by the competent authority. Special Reservation category: Reservations are provided for candidates with NCC, CAP, sports and games, physically handicapped categories also. Select the categories for which certificates are available. In case of PH, the medical board certificate issued through SADAREM have to be entered. Minority or Non-Minority: If the candidate belongs to any of the minority communities such as Muslim, Christian, Buddhist, Sikh, Jain, Zoroastrian or other minority, click on Minority button and select the applicable minority. Otherwise, candidates have to click on Non-Minority option. Annual Income of the Parents: Select the any one of the three options regarding the ‘Annual Income of the Parents’. Candidates have to enter details of income certificate issued by competent authority. Candidate Bank Details: Candidate should enter their bank details like name of the account holder, account no and IFSC Code. This data is required for scholarship remittance. 2: Address: Candidate should enter their Present or Permanent address with details such as house no, village, street, locality, mandal,town, city, district, state, pin code, mobile no & email ID. Check the image below. 3: Qualifying exam: Candidates have to enter details of class 10, 12 and degree such as percentage of marks, medium of instruction, place of study etc. 4. Preferences of exam centre: Candidates have to enter their choice of exam centres. 5: Upload photograph and signature: Candidates have to upload their photograph in .jpg or .jpeg of less than 50Kb. The signature should be in .jpg or .jpeg of less than 30Kb. After entering all details candidates should read the declaration at the end of the application page and select the check box. Candidates should click on ‘Save’ to save the data. Once the application is submitted two buttons will pop up ‘Modify’ and ‘Confirm or Freeze’. If candidates have any correction in AP ICET application form should click on ‘Modify’. After the data is saved candidates have to click on ‘Confirm/Freeze’ to submit the application. No modifications will be allowed after final submission of AP ICET application form 2019. Candidates should note the registration number and take print out of the duly filled application by clicking ‘Print application button’. AP ICET application correction window will be activated after the last date of application. 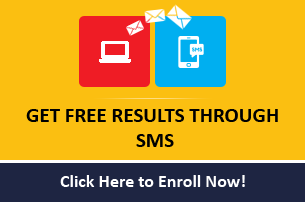 Candidates can make changes in areas such as qualifying exam, medium of instruction, place of study, mother’s name, birth state and district, gender, community, special category, local area status, annual income, study details, address, mobile number, aadhaar details etc. Candidates cannot edit details such as their name, father’s name, date of birth, signature, photograph and hall ticket number during the correction process. However they can send request to the convenor of AP ICET through email along with documents such as SSC marksheet, scanned photograph, signature and admit card of qualifying examination.